Type “fracking” into the search bar of any news site and you will be inundated with images of protests. All of which look almost identical. It’s desensitising. Fracking becomes just another headline, just another thing to shout about. But within those masses of people, there are individuals with personal stories and motivations. 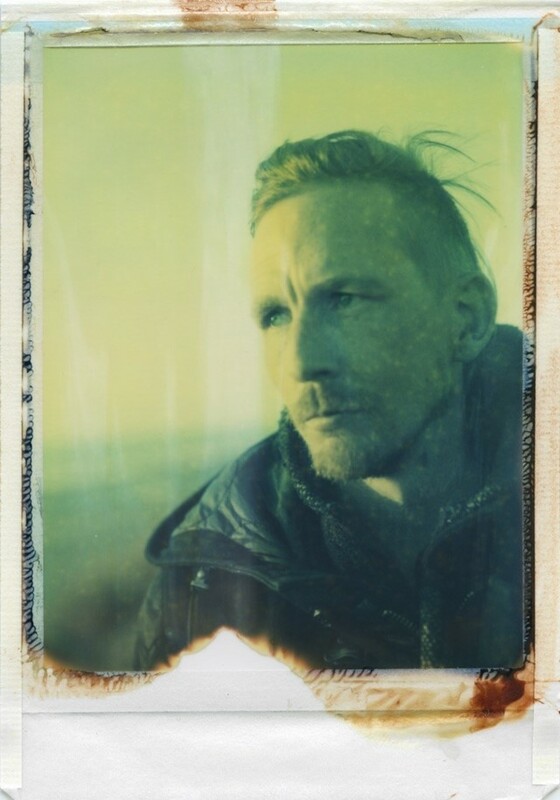 Rhiannon Adam’s new portrait series Fractured Stories aims to reveal a side to the fracking debate that hasn’t been seen before, bringing a human-side to what can often seem like a faceless issue. Fracking first came to Adam’s attention when she watched the 2010 documentary Gasland. Hydraulic fracking, as it is officially called, is a process whereby shale gas is extracted from rocks deep underground. As a gas, it is a cleaner energy source than coal, however it is still a fossil fuel, meaning it is at odds with efforts to reduce carbon output. In the 2015 Paris Agreement, over 200 countries, including Britain, committed to pursuing efforts to keep global temperatures to “well below” two degrees celsius to prevent dangerous climate change. Besides distracting from Britain’s sustainability goals, fracking is also believed to have negative impacts on the environment which include air and water pollution, potential oil spills, harm to the soil and surrounding vegetation, large amounts of waste water as well as small earthquakes caused by the high pressure applied during extraction process. 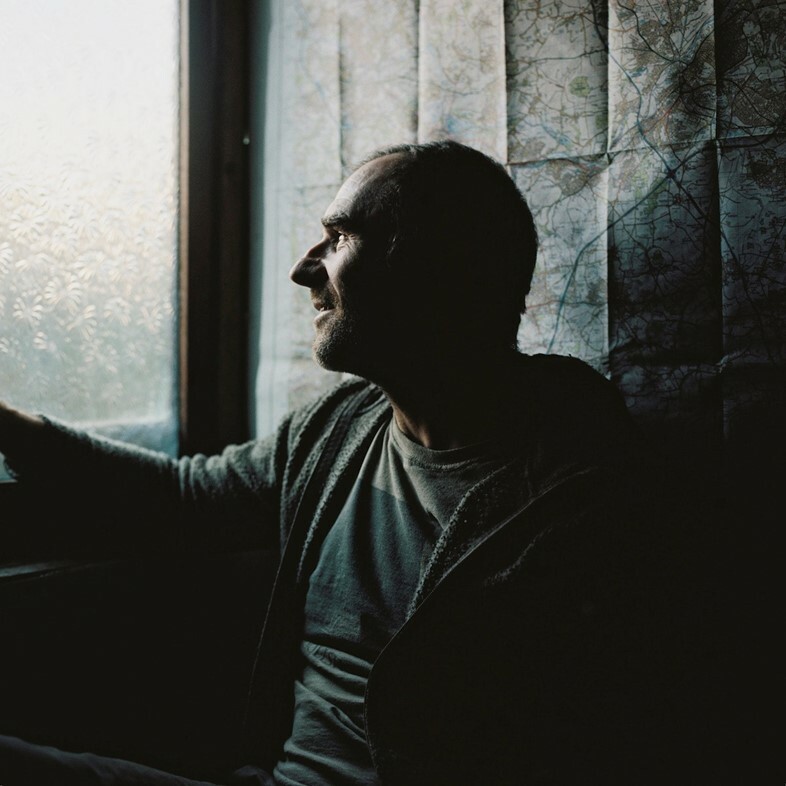 Adam recalls being horrified: “I remember thinking, ‘that'll never happen in Britain’. We'd never be so ridiculous as to allow something so dangerous. I kind of just dismissed it as some American issue, an American idiocy.” Fast forward eight years, and multiple sites around Britain have been sold to fracking companies. One of these is New Preston Road in Lancashire, the subject of Adam’s project and numerous headlines in recent months. In October 2018, the shale gas firm Cuadrilla Resources began fracking at New Preston Road, against the will of the local authority after a government intervention. This was the first operation of its kind in the UK since 2011. The scene was swamped with photographers “taking the exact same picture over and over,” says Adam, sweeping in on the scene to get a quick shot and leaving straight away. 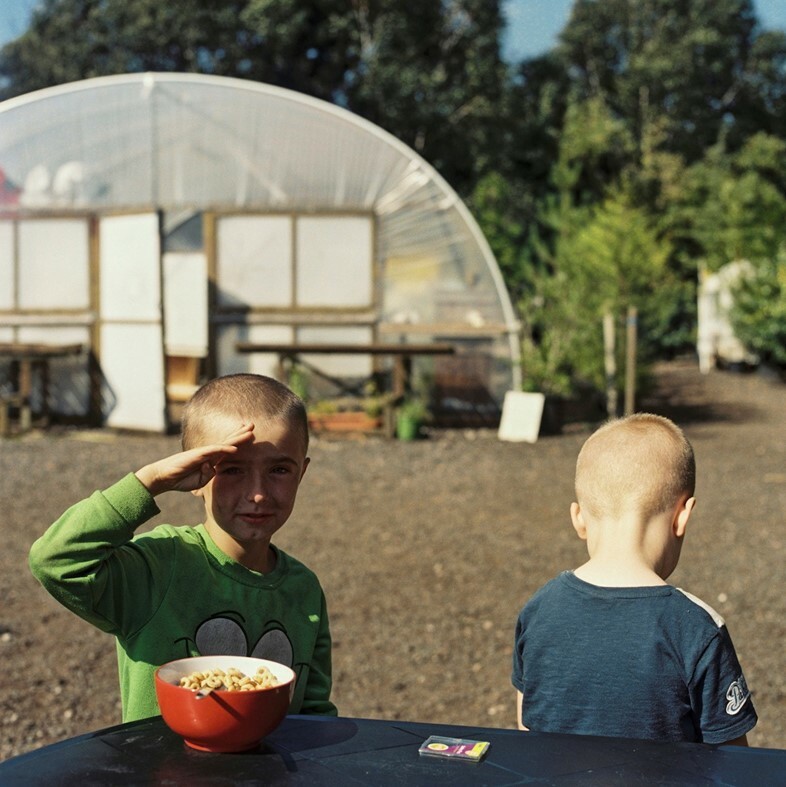 Unlike these photographers, Adam was already living and working among protesters and locals at the Preston New Road site for months, immersing herself in their lives, thanks to a commission from the British Journal of Photography. 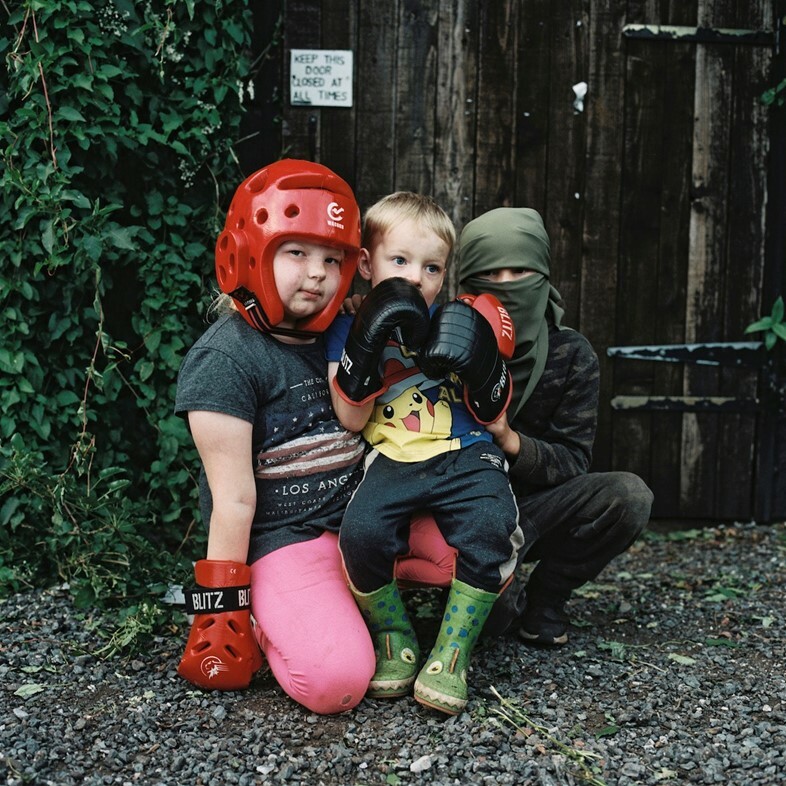 The photographer spent most her time between two permanent protest camps, New Hope Resistance Camp and Maple Farm Camp, which sit alongside the fracking site. Both of these sites occupy the land of local businesses: the backyard of Lytham Windows and John Tootill’s Maple Farm plant nursery. By embedding herself in the situation and talking to people on both sides of the argument, Adam was able to gain a deeper understanding of the conflict at hand and forged bonds with many of the people involved. Over the course of her time there, a number of key figures began to emerge from the fray. 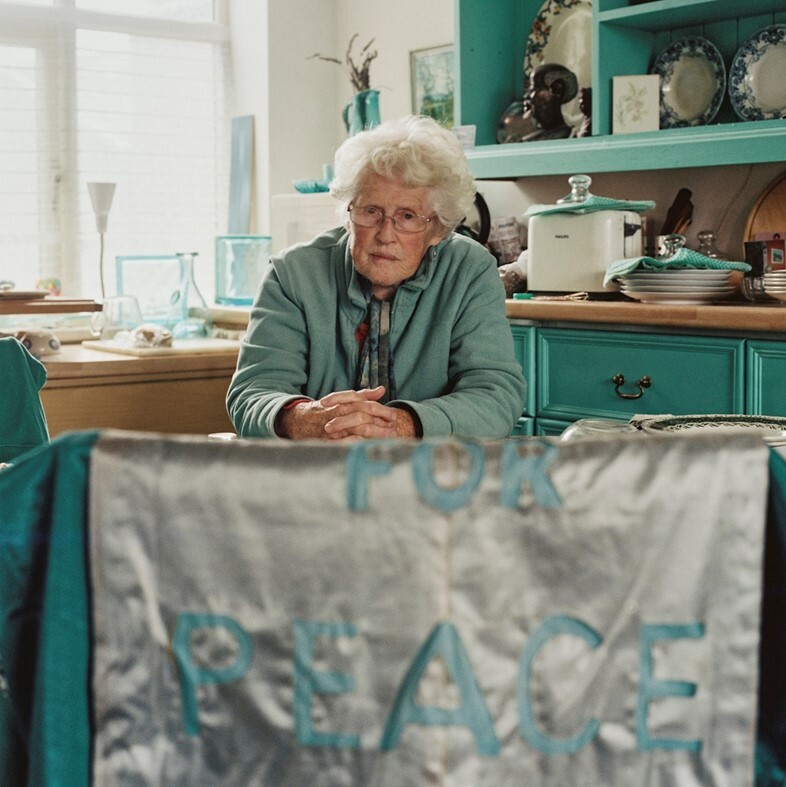 87-year-old Anne Power is a relentless anti-fracking activist and Green Party member. Power, who is disabled, made headlines in 2017 when she was dragged away from a protest by police when she refused to move. “She's such a firebrand. She really is. She's kind of amazing,” says Adam, who describes Power as a bit of a lone wolf. “She's just such a character. She's been on her own forever. She's never married. She's gay actually, which is kind of surprising.” Every Wednesday there’s a women’s Call for Calm, when they get together, dress as suffragettes, and march to Maple Farm. Power regularly drives there, rallies troops, and offers lifts. She has volunteered her own property to the movement, giving up the whole ground floor of her home as a headquarters to anti-fracking activists. Then there’s Tiga, a rugged hippy on the front line living at New Hope Resistance Camp, who in many ways embodies the image of the archetypal environmental activist presented by media. “It’s easy to look at people like Tiga and they’re a familiar activist face,” says Adam, though she ascertains that when you get to know the person beyond the stereotype, “you realise how empathetic and community minded he is, and how much he even struggles with being there all the time, and how it's maybe not his natural habitat.” What we don’t see in the media is how much people like Tiga sacrifice living in a resistance camp every single day, the hardship ,and the need for headspace in what can be a demanding and claustrophobic environment. “It's almost like a full time job being an activist, and the moral it starts to wane after a while,” reveals Adam. Other locals like John Tootill have been more visible in their activism. Tootill has given up his own land at Maple Farm to protesters, putting his livelihood at risk in the process. “It has damaged his business, but in the end I'd rather damage my business in the short term than damage it forever more with fracking going on up the road, because who will want to buy plants from an area that's potentially going to end up contaminated?” says Adam. There are others like Blackpool hotelier Clare Smyth, who approach it from a more reasoned perspective. Tourism has declined in the area and there’s an energy college nearby, so she feels that graduates could get involved in this new industry. Adam is quick to point out that many of the jobs created by fracking are either high level engineer positions, largely inaccessible to local graduates, or low level security jobs.